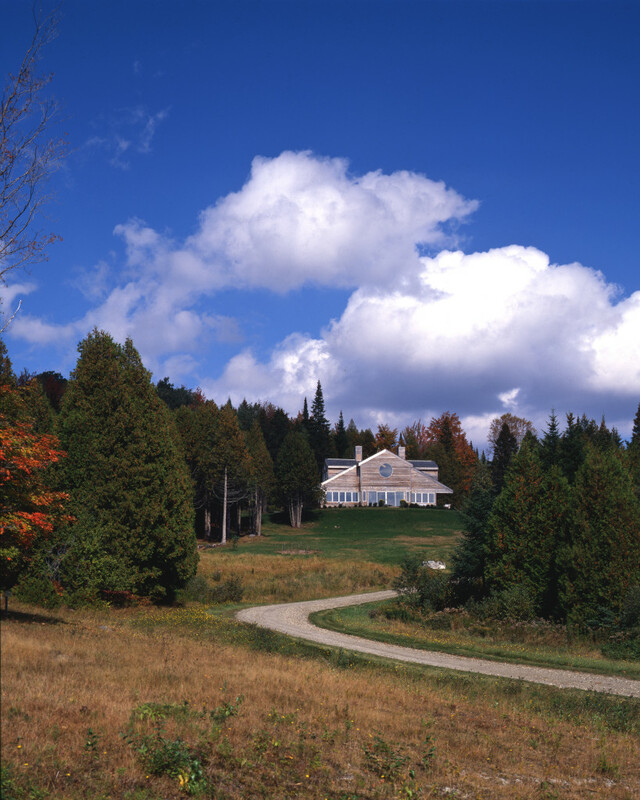 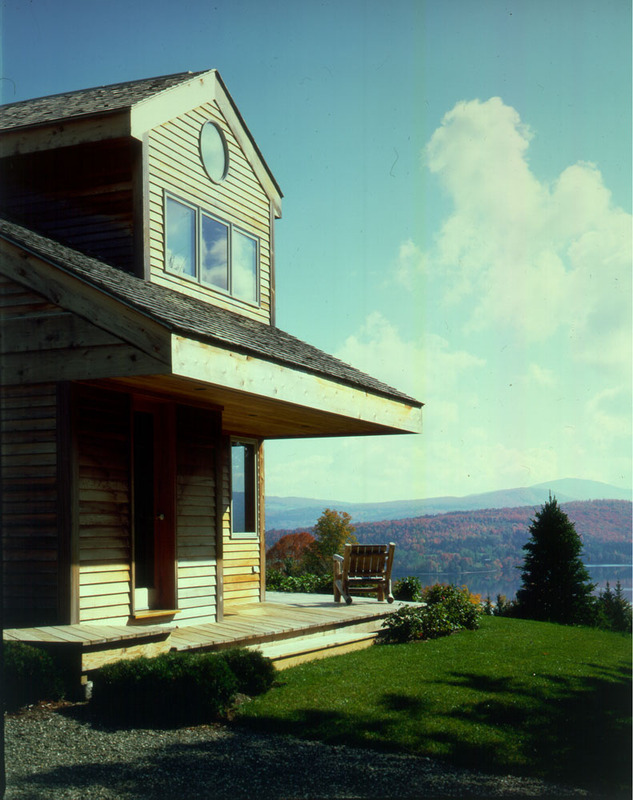 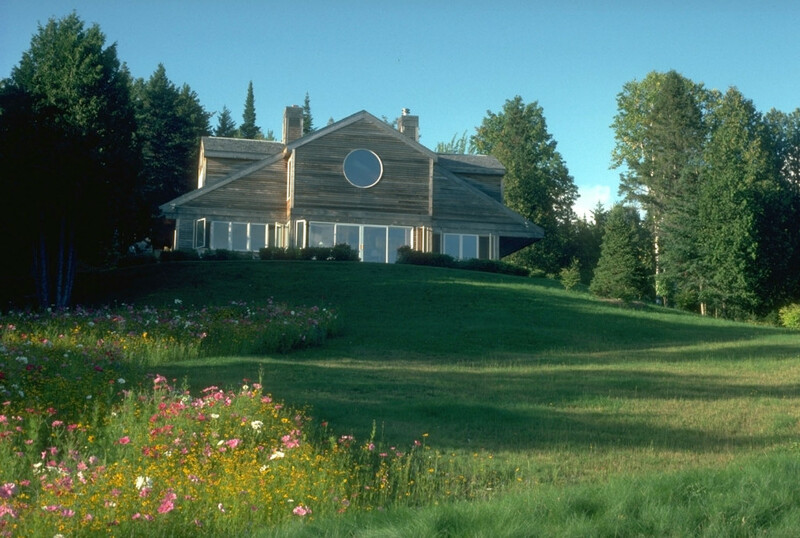 The Bentien House, located in Northern Vermont, is a vacation/retirement house; its form was generated by the integration of functional and aesthetic solutions. 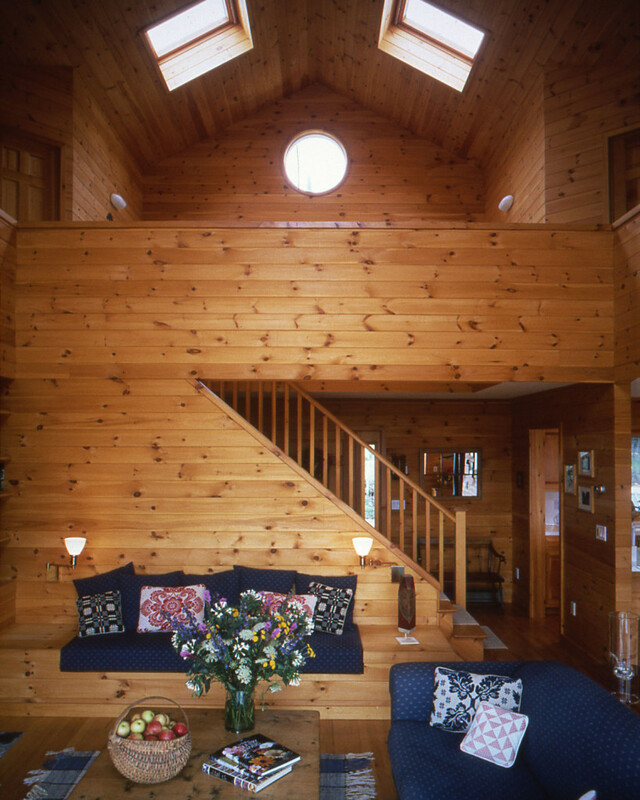 The two-story nave-shaped living room is the focus of all social activity. 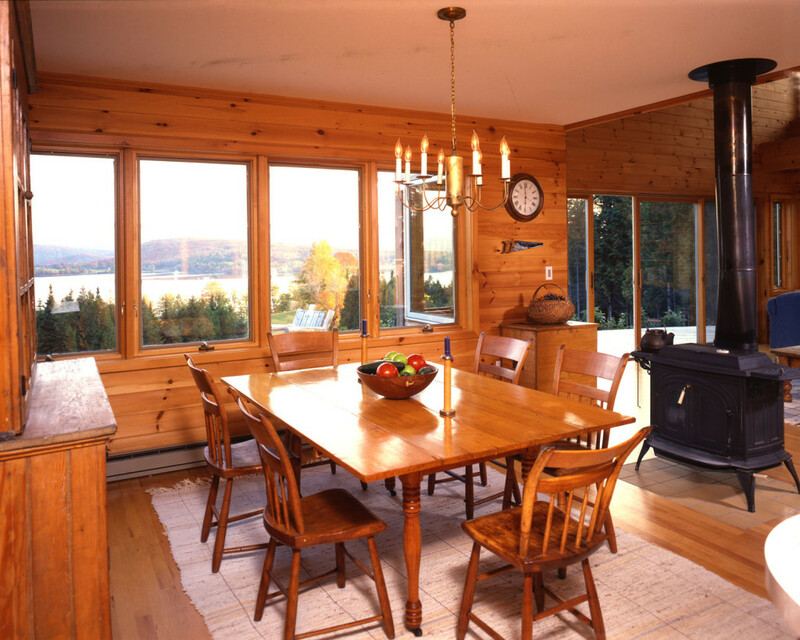 Adjacent rooms are subtly separated from this central space by changing floor levels, and by careful placement of low built-in cabinets. 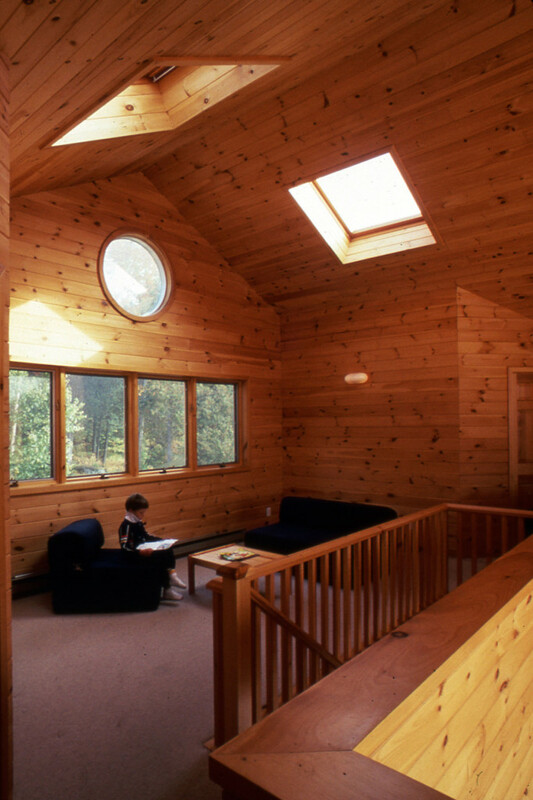 The master bedroom is on the first floor and children’s room on the second connected by a playroom. 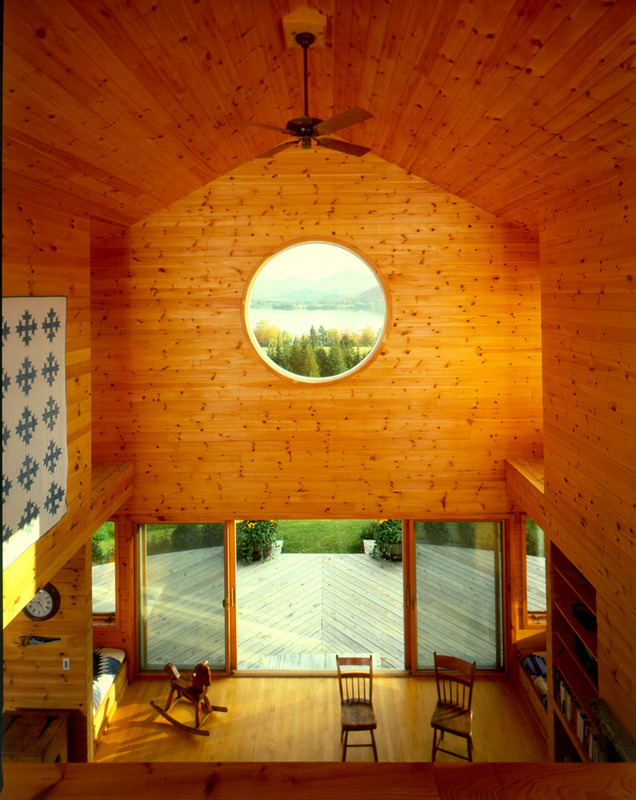 The house has a completed wood interior for easy maintenance. 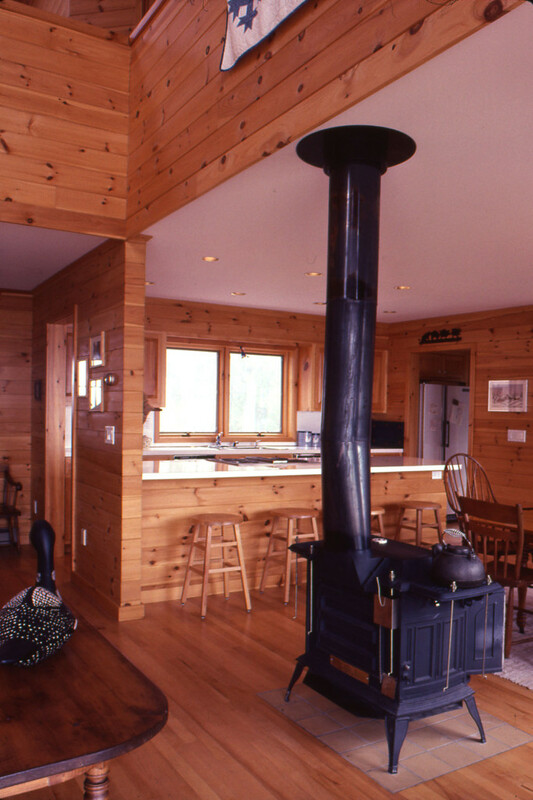 It is heated by a wood burning furnace. 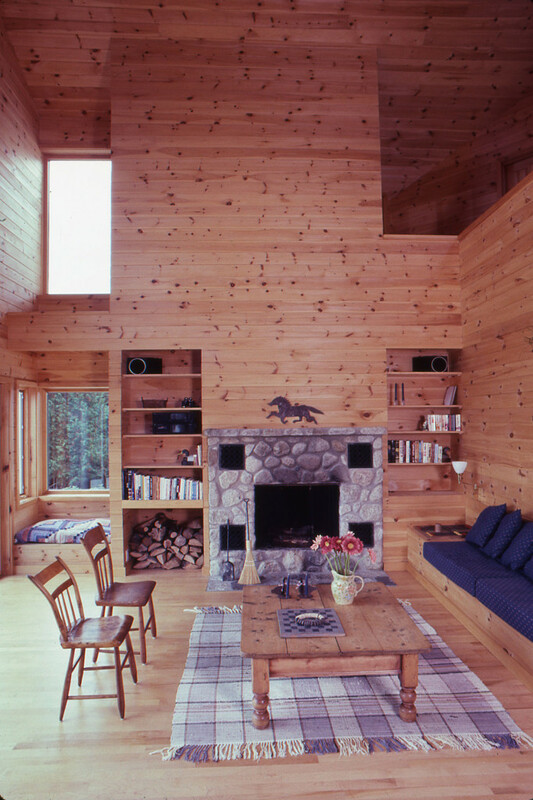 The house is cozy and a wonderful respite from urban life.